This sermon was preached for a 9/11 Sunday service honoring firefighters and emergency responders on Sept. 11, 2011. 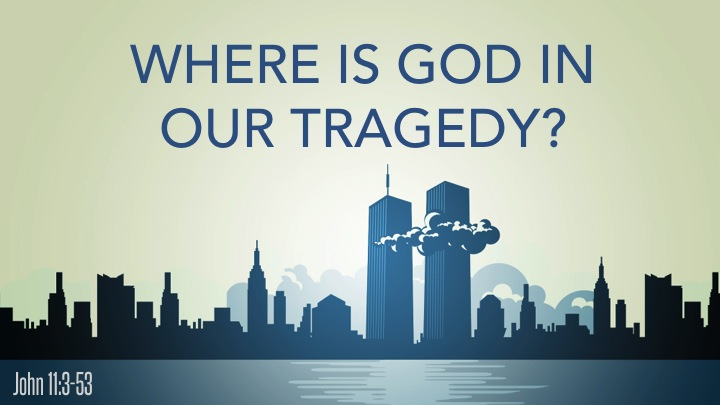 “Where is God?” is a question that’s asked during tragedies—national or personal. We especially tend to ask this question when bad things happen to “good” people. Or good things happen to bad people. This is a question the exiled Jews in Esther's day were asking. Growing in Grace. That is our theme for this new year and that is really the mission of what we want to do as a church. We want everyone at Grace to be growing in grace, to be growing to be more like Christ. For all of us, it means growing as Christians—not by our own strength, but by God’s grace. We are excited to announce a growing archive of old messages from Pastor Leigh Crockett's "God's Turn" program. These messages were played on the local television networks from 1991-2009. To view the gallery of God's Turn sermons, visit the God's Turn Vimeo page at https://vimeo.com/godsturn/videos. James is going to show us that our tongue, this little two ounce muscular organ, has incredible power—for good or for evil. In WWII, Adolph Hitler used his silver tongue to turn a very advanced, very intelligent nation into a racist killing machine. And yet when it looked inevitable that the 3rd Reich would take over England. Humanly speaking what held their nation together? London had been bombed to pieces. Winston Churchill getting on the radio and the force of his words breathed hope into the hearts of the British people. The tongue is power—for good or for evil. On May 26, 2013, Grace Baptist Church had a special afternoon service with the four Crockett sons honoring Pastor Leigh Crockett's entering his 30th year of ministry at Grace. 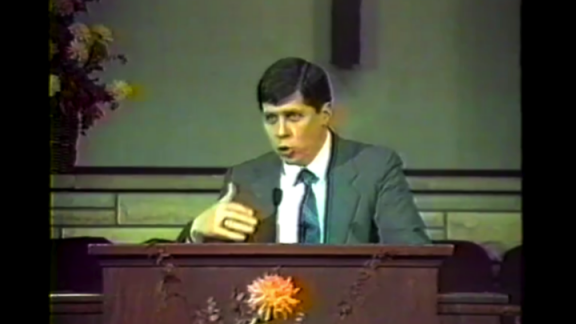 This video includes three vignettes from the three decades of Pastor Crockett's ministry as well as testimonies from the Crockett sons and tributes from leaders across the country. Dr. Nathan Crockett, son of Pastor Leigh Crockett, preached this message during the morning service at Grace on Sunday, May 26, 2013. 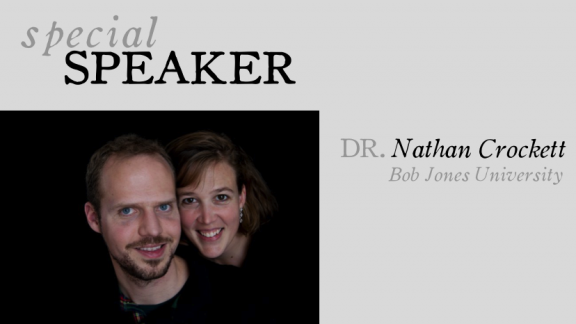 Dr. Crockett currently serves as a Bible professor at Bob Jones University. For more information about Grace, visit our website at GraceToAnderson.com. You graduates have worked hard. And we are happy to celebrate your academic milestone with you. Even though some of us haven't graduated from an educational institution recently, we've probably graduated a grade or two in "the school of hard knocks." One of the greatest lessons you can learn—is that you will fail. You won’t always succeed in business, in your career, in relationships, in marriage, in life. You’ll have times when you fail, when you fall flat on your face—not just physically, financially, but spiritually. But you’ll also learn that God is a God of 2nd Chances. We saw that on Wednesday in Ps. 86. God is full of compassion and gracious, longsuffering and plenteous in mercy. He’s the God of 2nd chances. This morning we're going to look at the story of a woman who was given a 2nd chance and graduated from God's school of faith. Do You Have Living Faith? Last week we saw an example of dead faith. This week we’re going to look at an example of living faith. And it’s related to motherhood. It’s a story about infertility. You see Mother’s Day can be a very difficult day for women who have tried and wished and prayed to God to be mothers. And if you've ever gone through that struggle, you can probably identify with the fears and doubts of Abraham and Sarah. 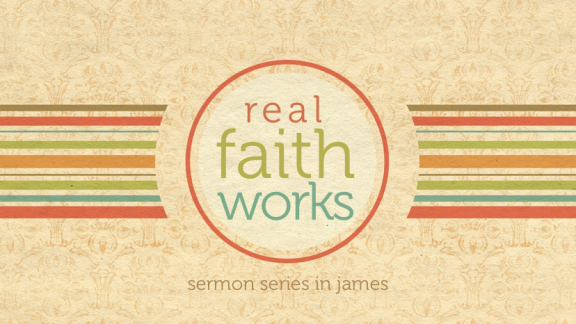 And yet interestingly James is going to use Abraham as an example of living faith that surrenders.